Visit website to learn more Fort Collins Utilities offers a bill credit on the purchase and installation of clothes washers. Offer valid 01/01/2007 through no current end date. Other restrictions may apply; please visit the website for additional details. Visit website to learn more Fort Collins Utilities offers a bill credit on the purchase and installation of dishwashers. Offer valid 01/01/2007 through no current end date. Other restrictions may apply; please visit the website for additional details. 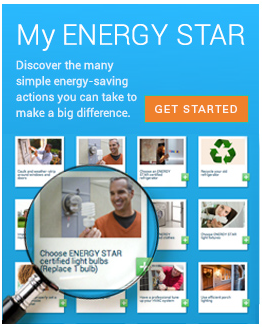 Visit website to learn more Fort Collins Utilities offers a bill credit on Freezers (recycling). Offer valid 01/01/2008 through no current end date. Other restrictions may apply; please visit the website for additional details. Visit website to learn more Fort Collins Utilities offers a buy-down/discount on the purchase and installation of Light Bulbs. Offer valid 01/01/2010 through no current end date. Other restrictions may apply; please visit the website for additional details. Visit website to learn more Fort Collins Utilities offers a bill credit on Refrigerators (recycling). Offer valid 01/01/2008 through no current end date. Other restrictions may apply; please visit the website for additional details. Visit website to learn more Xcel Energy offers a buy-down/discount on the purchase and installation of Light Bulbs. Offer valid 01/01/2019 through 12/31/2020. Other restrictions may apply; please visit the website for additional details.